Two Sinclair School of Nursing PhD students have been selected into Griffiths Leadership Society. 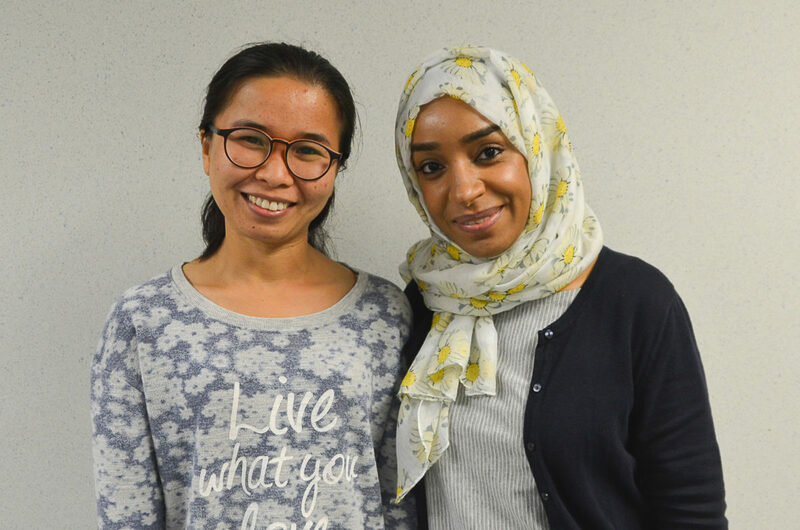 Tipparat “Rose” Udmuangpia and Reem Al Alawi will be inducted into the leadership society for women. The Griffiths Leadership Society for Women is a catalyst for connections among diverse and distinguished Mizzou student leaders and alumnae. Through lifelong learning, leadership development and mentoring, members stimulate their potential and that of other MU women, while supporting the best interests and traditions of the University of Missouri. Rose is studying prevention of intimate partner violence in Thailand. She is mentored by Tina Bloom, PhD, MPH, RN. Reem Al Alway is a second-year PhD student studying nursing education in Oman. She is co-mentored by Greg Alexander, PhD, RN, FAAN, and Gina Oliver, PhD, APRN, FNP-BC.